Hubby and I had an argument this morning. We were discussing the history of MTB, and he said that MTB as a sport only began in the 1970s. I said that this can’t be right because bicycles had been around for longer than that. Anyways, we ended up fighting about who was right, and I stormed out the house. Once I got to work, I decided to Google the answer to our debate, and as much as I hate to admit it, it seems like hubby was right after all. Off-road cycling has been around since the invention of the bicycle in the 19th Century, but it only originated as a sport in the 1970s. So I guess I owe somebody an apology – I’m sorry my snookums! 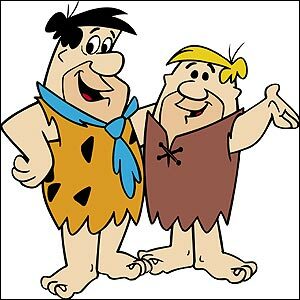 However, the history of the bicycle got me thinking about an interesting question – what if Fred Flintstone was an MTB enthusiast? Luckily, I’m not the only person to have thought about this. Here’s a brilliant picture of what bikes would’ve looked like in the prehistoric era.